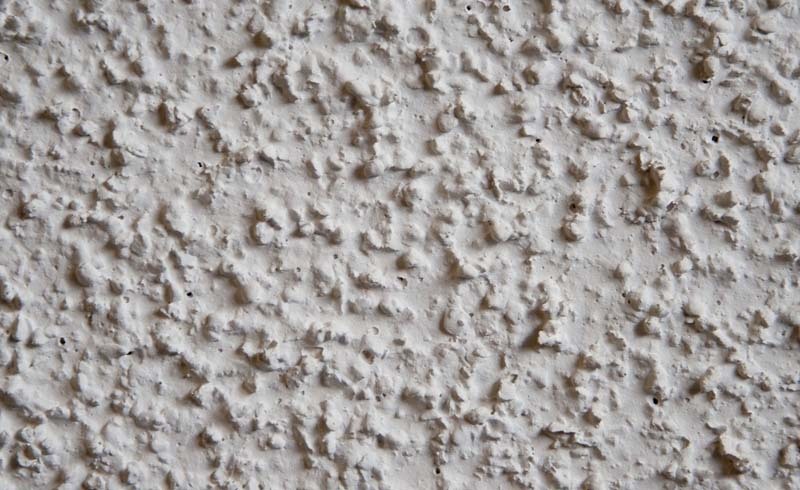 We love old homes, but that doesn't mean we need to live with an early-80s nightmare on our ceilings. 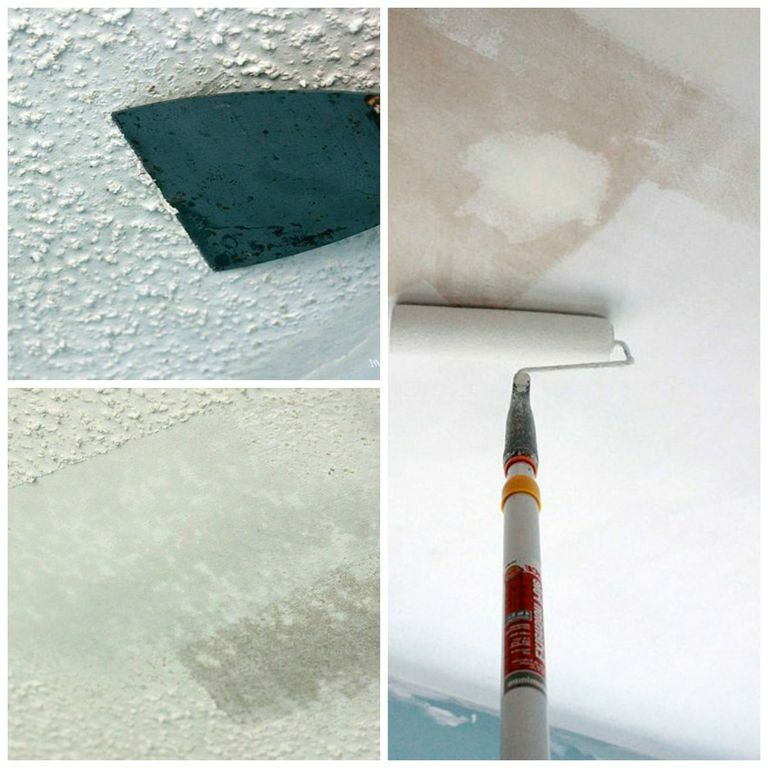 Give your rooms a makeover from the top down with these glorious DIY fixes for popcorn ceilings. Cover the walls and floor with a plastic drop cloth, cut off power to light fixtures, saturate the popcorn layer with water, and scrape away. Afterward, touch up the ceiling with joint compound, buff it out, then you're ready to prime and paint. Note: If your house was built before 1980, test a sample of your ceiling tested for asbestos first. You can buy professional test kits at home improvement stores and online. Asbestos popcorn was banned in 1978 but could still be purchased in the early eighties. Better safe than sorry! Skip the scraping process and cover over popcorn completely. 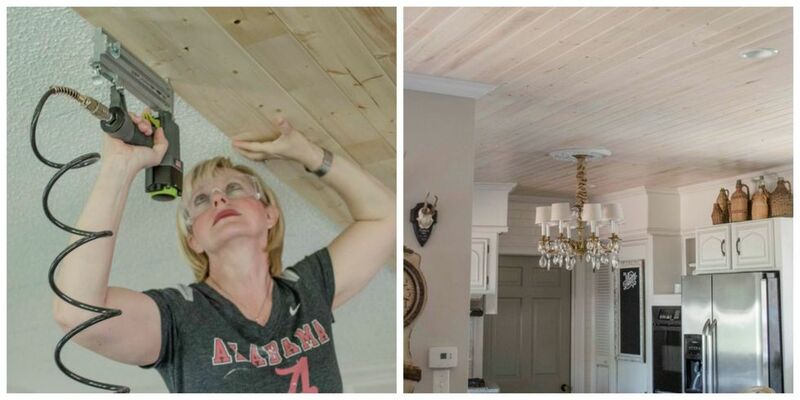 Adhere thin (but quality-grade) tongue-and-groove wood planks to the ceiling with a coat of Liquid Nails, then secure them in place with a nail gun. 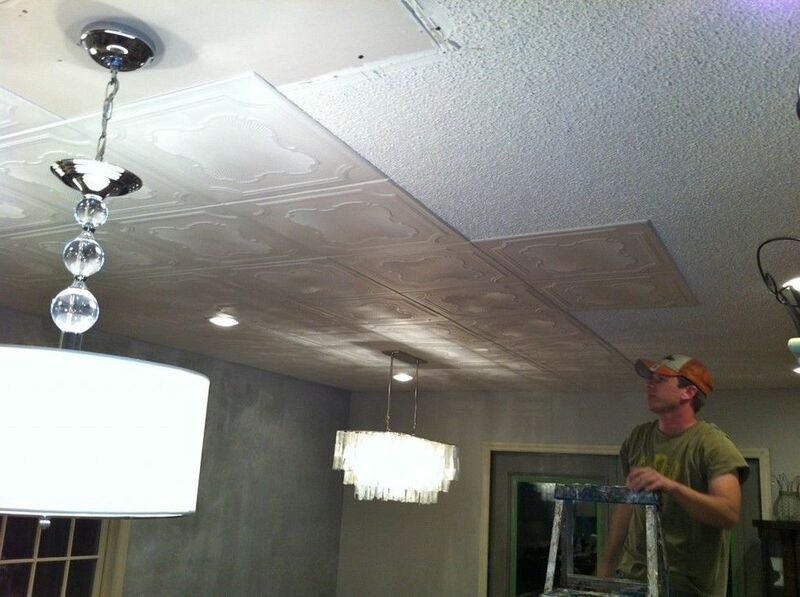 Cindy of Edith & Evelyn Vintage finished her ceiling with a pickling stain. The whole project cost her 92 cents per square foot. Get the tutorial at Edith & Evelyn Vintage. We've shared blogger Dana's kitchen makeover with you before. 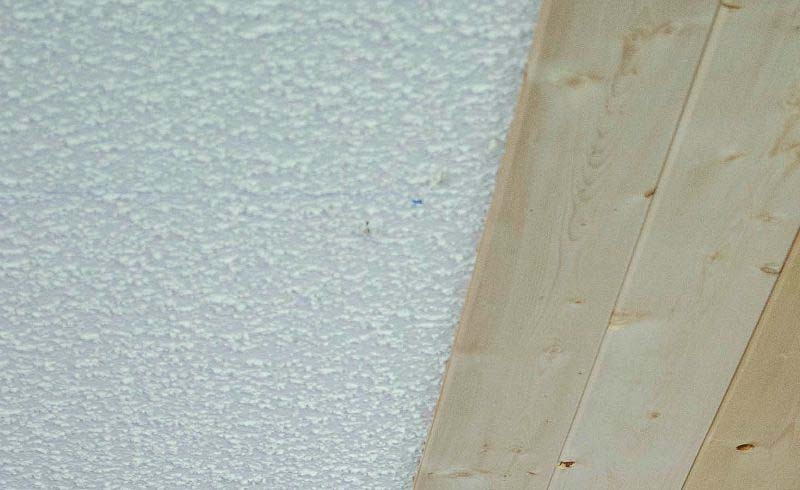 Take a closer look at that ceiling: She covered over her outdated popcorn with faux-tin Styrofoam tiles—again, no scraping necessary! Get the tutorial at Bella-Tucker.com.